If we've tried various recipes for chicken, this recipe may be that one should be tried in addition we can easily to cooking and easy meal ideas for dinner or breakfast or what you want, this is the typical food of Indonesia namely at NTB (Lombok), his name is unfamiliar to us who may not of come from there. 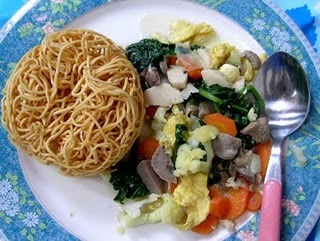 Pelecing Chicken is a dish typical of Lombok. Made this chicken dish has a spicy and sour taste. cooking spice is not too much just a few herbs that should be provided and may not be difficult to get it. Curious about the taste? try Pelecing Chicken Recipe for 1 chicken following. * Clean the chicken, sides of the chest and remove the stomach fill if it still exists. 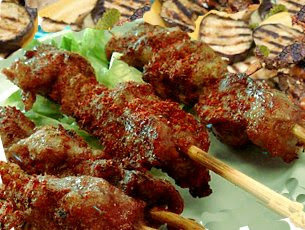 * Spread the chicken body (form bekakak), with a bamboo skewer. * Bake the chicken over hot coals / charcoal until cooked. Remove from heat. * Mix the ground spices, cooking oil and 3 fruit juice lemon juice and stir well. * Brush the chicken with spice smooth mixture until blended. Roast chicken with a smeared back to dry herbs and pervasive. Remove and serve warm Pelecing Chicken. 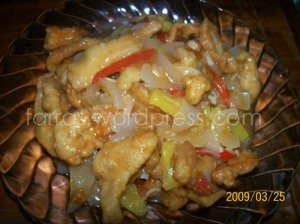 * For faster soft chicken, coat chicken with grated pineapple and let stand several minutes before chicken is processed. * If the flavor is too thick, add enough water to allow the flavors easily applied to the surface of the chicken. * To be more delicious, serve pelecing lemon chicken with lemon juice. 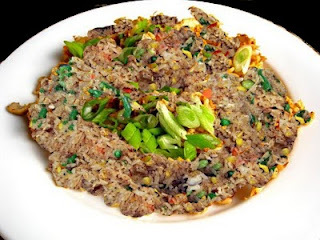 Perhaps there are among us who feel unfamiliar with this name, but this is a breakfast meal ideas menu that are good, especially for Asian people, because the menu is a recipes from asia. We make this food to a litle different. 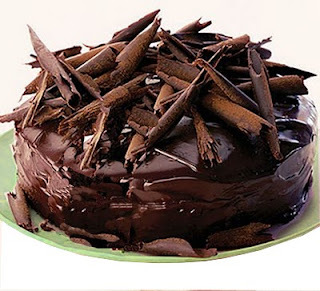 Looks like this we can do easily and with recipes that are not so difficult even to cook does not need special skills. 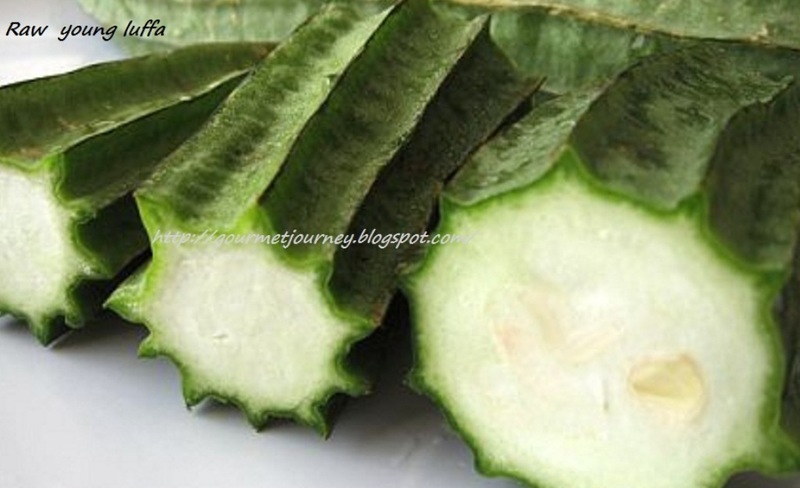 The luffa, or lufah (from Arabic لوف) is grown, harvested before maturity, and Eaten as a vegetable Pls the fruit is young and the sponge has yet to Become tough, popular in Asia. I love to perpare it as breakfast. 20 g dried prawn, soak in hot water for 30 minutes, rinse with cold water, set aside. fried shallots (option) for garnish. 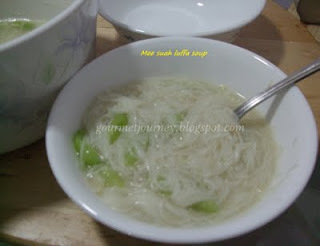 3. add in mee suah, stir till the soup start boilling again, garnish with fried shallots if you like it and serve hot. If you are alone or being with family, and you need a quick meal ideas for dinner. 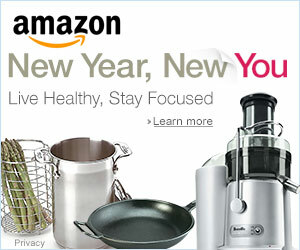 Build something in the kitchen with easy and fast and then just watch some exciting thriller. Of all the above mentioned we can make two conclusions: sometimes we just want to not spend valuable time to cooking. 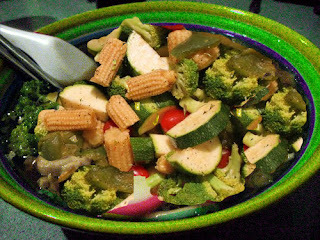 here I want to give one quick and easy meal ideas for dinner. Almost superficial. You say that it is stale. Not at all. The entire book is devoted to an omelet. Of course, it is very easy. Stop! We want fast, but not so much! Break 2 eggs in a bowl. Add salt and milk. Defeat all of this with a rim. Pan fried at a time that is heated with oil droplets (do not overdo it with the fat, if this dish comes in your throat.) If you eat pork, you can cut (not too small) diced small bits of meat and throw them into a hot pan . Remove the cracklings. You can only hide in the side, or you can throw them into the beaten eggs. Check that the pot has a minimum level of fat (we want healthy food). Now you can cut a piece of sausage in a skillet. We cut the cylinder of 1 - 1.5 cm and scare along with three sides. When toasting sausages, rest like a flower and look very impressive. Cracklings and fat will give you an omelet unique flavor and color. Sausage and bacon can easily be removed from the recipe. Sausage may be substituted for beef stew. 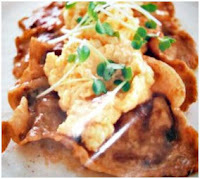 This omelet is quite unique with meat, especially beef. Cheese. Plain yellow cheese. Cut a thin rope. Throw it all in the egg with milk. Stir. Then pour the entire mixture in the empty pot with sausage. Cover with a lid. When one side gains gold "toasted" appearance, turn the omelet. Lid can be removed. After milking the second side, you have to take out the omelet. Put scrambled eggs directly on the cut vegetables. Add a few olives or canned peas. Quck idea for one night is ready! Time to cook: 15-20 minutes. 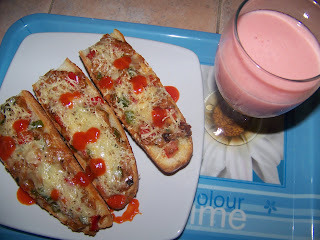 This time the quick meal ideas I will be sharing how to make Bruschetta, the recipes actually used the tuna meat, but if we are home only have chicken, it can be used so it can cook more quickly, fast meal ideas with chicken to make Bruschetta. Bruschetta .... often found in restaurant-pizza and pasta restaurant with a variety of forms. Serve for a husband when asked for bread for breakfast before leaving to the office. Remove the oven and start baking. Spicy Tuna Bruschetta With Paprika & Cheese Recipes. ~ Tuna spicy canned or tuna chopped who have been in stir-fry first. ~ Green Papika ---- cut into the box, remove the seeds. ~ Red peppers ---- cut into the box, remove the seeds. ~ Cheddar cheese ---- , Shredded for topping. 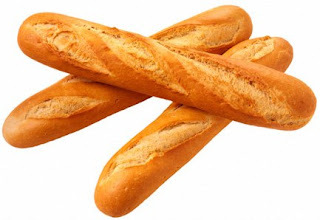 ~ Cut the bread into 2 parts, then cut each half lengthwise. ~ Saute: chopped garlic with EVOO, shortly after the garlic fragrant, add canned tuna, green & red peppers ---- stir, add a little salt & pepper to taste. 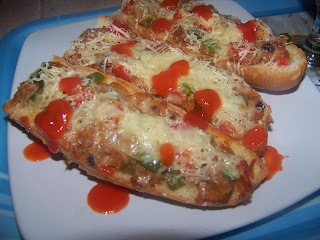 ~ Take 1 portion of bread, rub tuna & stir paprika on top, sprinkle with grated cheddar & mozzarella cheese. 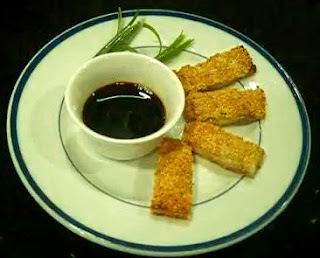 ~ Bake 15-20 minutes in the oven, raise ---- serve with bottled chili sauce in a serving dish. ~ When using canned tuna before added the salt & pepper, stir in tuna flavor first, because the flavor of each brand is different. ~ When using regular tuna meat, tuna can be fried in advance, not too crisp because tuna tend to be tough if fried too long. after that tuna can be roughly chopped, or as desired. ~ Stawberry yogurt with orange Guava: guava meat + lemon + honey + stawberry yogurt _ ---- ice in blender. 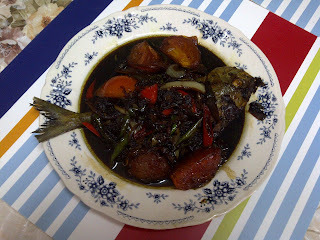 Lots of meal ideas for eating we can see it from friends or from the magazine and whatever it is, and here I share about Cooking Bawal fish sauce recipe. everything seems a little easier. This recipe from Journey of Faith thanks for this recipe and This is the first dish That She cooked for her hubby since She marriage. 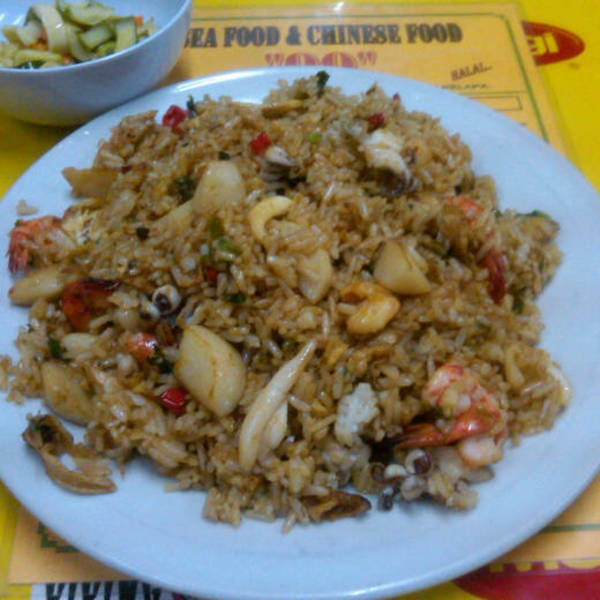 It is one of his favorite dishes. Though I Knew the basics of 'cook sauce' from observation of her granny's cooking and her mum's, and A Few times She tried it with chicken, Actually I never cooked this particular dish (cooking Bawal fish with sauce). So, She was really nervous of the results. It turned out well and everyone loved it. Hope you can enjoy it too. 1. Clean the pomfret fish. To do so, the day the fish, then mixed with salt and tamarind before rinsing clean. 2. Mix the fish with salt and turmeric and fry until crisp and lift, pull over. 3. Cut the fish frying oil in a saucepan just until there were enough for sauteing (some in 3 tablespoons), then enter the material B. Saute until fragrant. 4. Pour C. Stir slightly until warm. 5. Pour D. Cook until the tomatoes and onions are soft and tender. 6. Enter pomfret fish before, and mix well. Reduce the heat slightly, let boil 2 minutes. Turn off heat. Let it be friendly with, in 10 minutes. Ready to serve. It seems we are confused to our food menu and its menu will be bored if the food like ussualy. 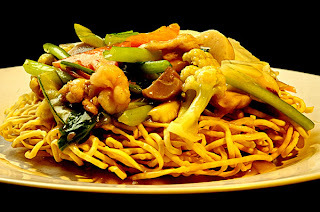 How if we searching the place for meals ideas, for example, a search that we can do at home is to open the internet and use search engine, we can find some places and meals ideas for our with easy. we can see where we are to occasionally think about meal ideas for your lunch. it may be useful if we try foods from other countries such as meal ideas for chinese. 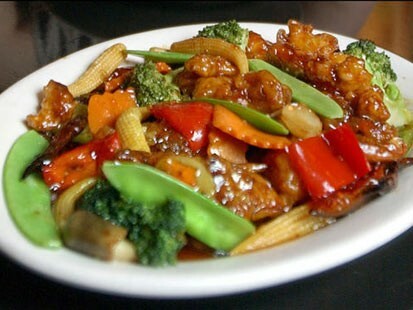 There are some chinese food commonly served at lunch or whatever we despise. 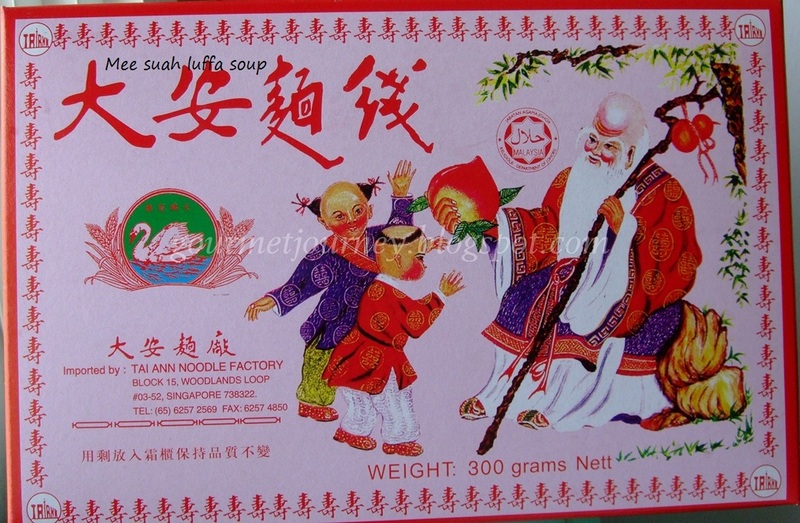 Speaking of eating, I am most like a typical chinese food. I created this blog because I happened to be hungry and to remember my favorite foods. Besides eating my hobby, I also have a favorite food to eat-that makes drool when discussing it. 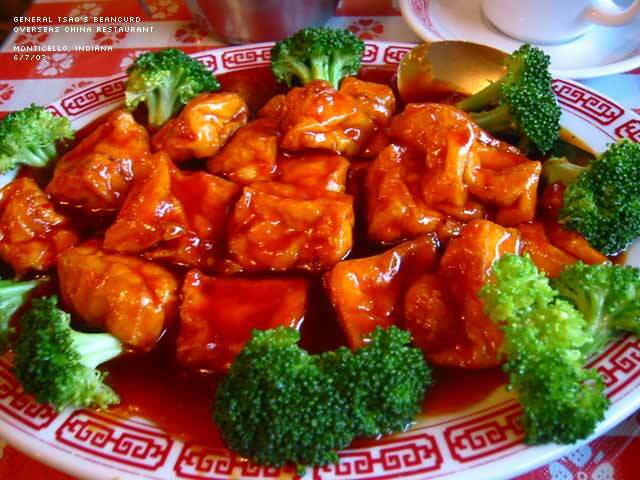 The following is the typical chinese food. 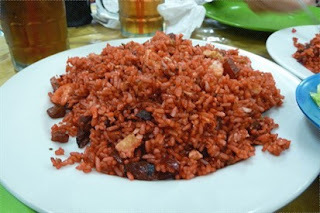 with fried rice and koloke. Cap cay is called Tamie cap cay, cay unique stamp of favorites. This is a pair of the cap cay, his name koloke. flour the chicken with a thick sauce that makes drool.